Conducting a survey in kiosk mode allows a survey to be conducted unattended while the kiosk computer being used is offline. 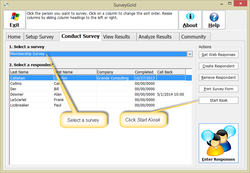 It makes it easy for respondents to directly enter responses to questions into the SurveyGold application or for a surveyor to do so. Step 1 - From the Conduct Survey tab folder, select your survey and select Start Kiosk. 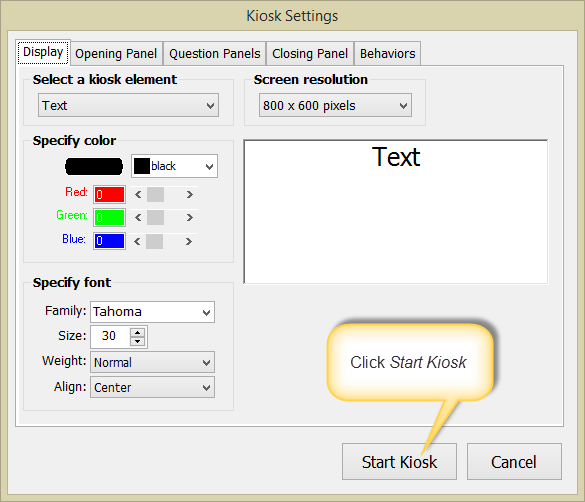 Step 2 - Specify your preferences in Kiosk Settings and select Start Kiosk. Note: The Behaviors tab provides the ability to password-protect the ability to end the kiosk mode. 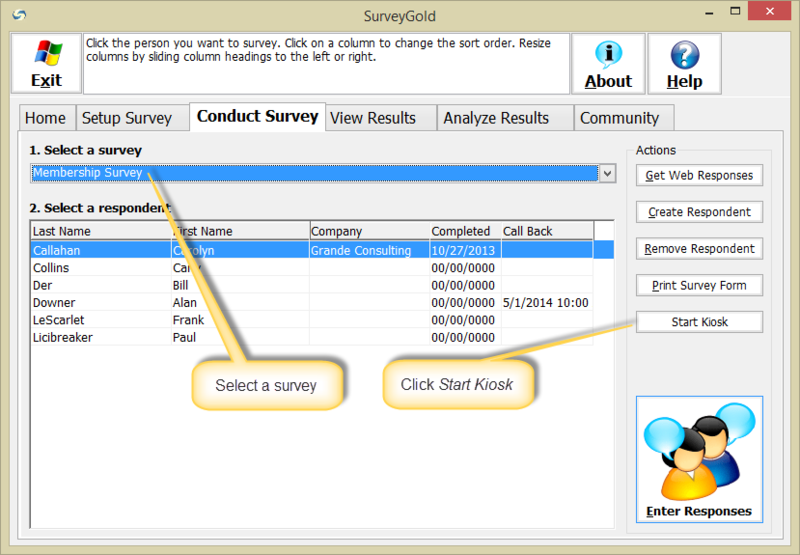 This prevents a respondent from having the ability to access the features of the SurveyGold application. Canceling a survey in kiosk mode allows control to be returned to the Conduct Survey tab. 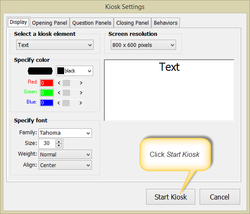 If no password was specified in the Behaviors tab when kiosk mode was started, press the Esc key. If a password was specified in the Behaviors tab when kiosk mode was started, hold down the CTRL key and type the password.